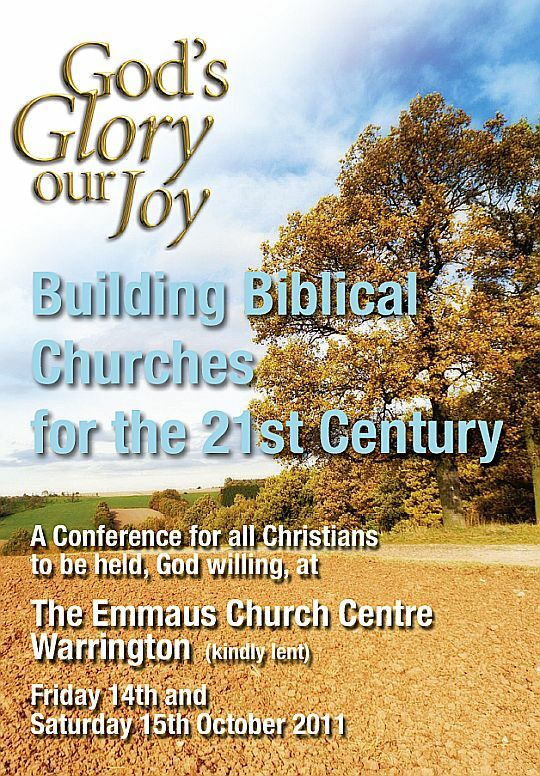 This year the conference will be held on Friday 14th & Saturday 15th October at The Emmaus Church Centre, Warrington. Speakers: Andrew Swanson (N Cyprus), John Hall (Grace Evangelical Church, Westerleigh, UK) & James Renihan (Institute of Reformed Baptist Studies, Escondido, California). God is patient: slow to anger, quick to forgive. God has shown his patience in history, he has displayed it though his Son, he has proved it in our experience. How does the Holy Spirit produce patience in us? By making us aware of God’s patience towards us. Why couldn’t the crowds see the truth about Jesus? Because they were blind. So were the disciples until God opened their eyes. But the moment came when they knew the truth and spoke it clear and plain.